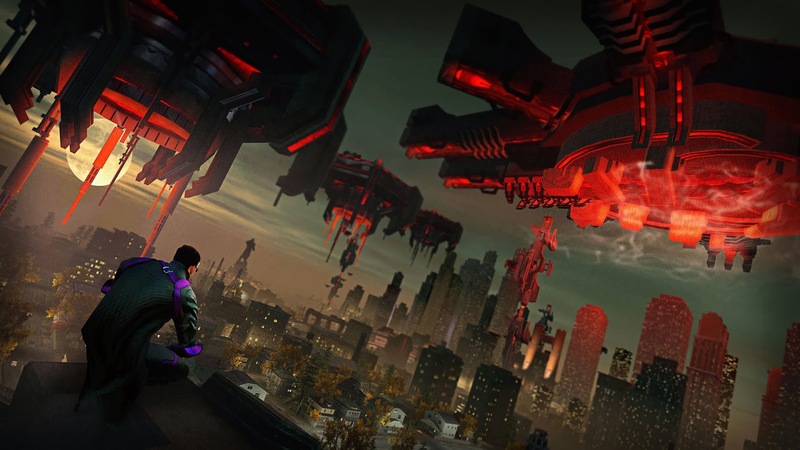 From standing up for their people and crew to now saving the world, the Saints Row Series seems to step it up to a whole new level with each new title, and let’s just say that Saints Row IV is no different! If you want to have a variety of super powers at your disposal, fight aliens and be President of the United States, then you’re playing the right game. However there is a limit to what can be considered “going too far” and will Saints Row IV be able to keep all these elements together in a format that makes sense? From the streets to now the White House, the Saint’s are now the most powerful crew in the world and their leader has been appointed president, suddenly we are attacked by an evil alien empire called the Zin who wish to take over Earth for their own bidding. After a brief battle, the crew is kidnapped and the leader defeated, and thrown in to the Zin’s own creation called “The Simulation” a sort of Matrix-esque world where their influence is at large. The goal? To cause as much havoc as possible in the Simulation, get your crew back and take down the Zin, and this is aided through the use of your super powers. President of the mo**er fu**ing United States America. In a way the story isn’t too bad, and at some points I felt that they were dragging it out just to fill in gameplay time, however I did enjoy how it addressed the leader’s relationship with each of the characters, even going as far back as events that happened in previous games. Since this crew has been together for a long time, it comes across as believable when they are interacting with each other. 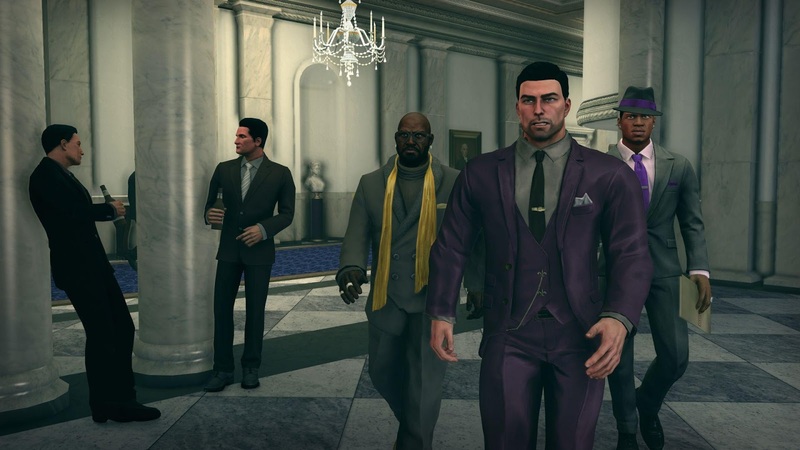 Overall I felt the narrative was good and kept me engaged throughout with its twists and turns, not exactly a masterpiece in storytelling, but done well enough to encapsulate the comedic and crazy background that is Saints Row. 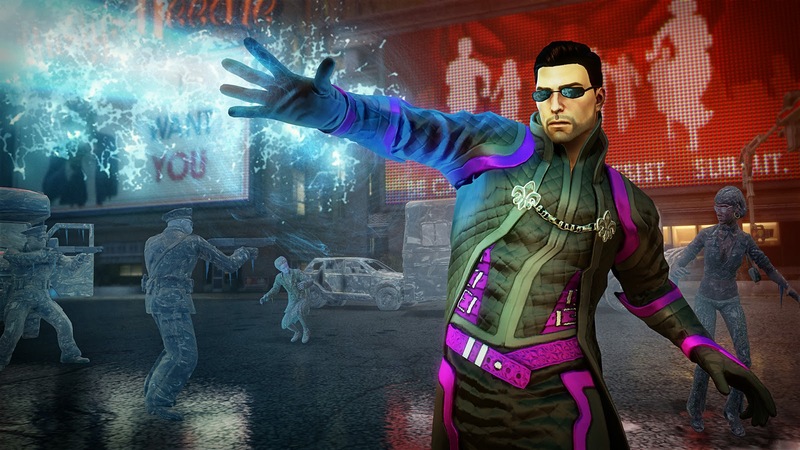 So there is two parts to the gameplay in Saints Row IV. What takes place in the real world and what takes place in the Simulation, with the latter allowing for a more extreme change in the mechanics due to the introduction of super powers. For the majority of your time, you will be playing in the Simulation, completing a variety of missions to upset its programming and get you one step closer to going up against Zinyak, the leader of the Zin. Missions are split up in to Primary for the main storyline and sidequests for extras. The Sidequests usually involve you doing tasks for a member of your crew with the rewards being upgrades to powers, your crew itself or new weapons. Every time an activity in the game world is done, it earns you Cache and this is the game’s currency. You can use Cache to upgrade more of your personal skills such as Health, Combat or use it to unlock bonuses for yourself or crew. Right so super powers? At the beginning you have limited access to a “Super Jump”, “Super Speed” and generally being really strong overall. Of course the standard thought would be that you can upgrade said powers throughout the game and yes you are right about that. The map itself is scattered with blue orbs which can be used to upgrade the powers, allowing for specific ones to be used infinitely. There are more unique abilities which can be gained, however this is done through the storyline and usually involves you defeating one of the generals and taking it from them, however once it’s done, it can also be beefed up through the use of blue orbs. Get down with the jam of the Dubstep gun. The map is also littered with activities to do from timed racing to Professor Genki’s game show which involves you throwing specific objects through marked hoops. Just because you have super powers, doesn’t mean it can be used in the real world. In this case weapons are available for use, although these can be used in the Simulation too. 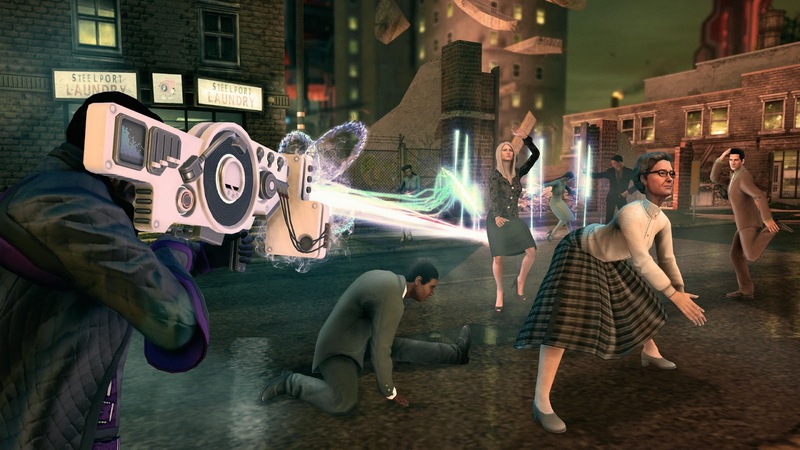 Sometimes I do wonder where the team at Volition come up with some of these ideas, but so far my favourite would have to be the Dubstep Gun, shooting a mass of colourful beams followed by an awesome track, which causes everyone in the surrounding area to pull out their best dancing skills. The one thing that probably put me off about the game was its combat when under heavy fire. When you take a heavy knock, the screen prompts you to hit a button to recover, however due to the recovery’s animation; you are open to another attack immediately which pretty much puts you down constantly. Of course in this case, don’t head into a fight guns blazing, however I felt that there should be an option where I could quick recover or at the very least be blasted away far enough so I can get up on time. Saints Row IV takes you through a couple of different places, so the visuals do differ depending on where you are, however it’s awesome nonetheless. Whether you are in the 50’s with its brighter palette or in the Simulation taking on a darker and serious tone, the game seems to hit it just right. Character models look great with the option of making some crazy adjustments to them, through the surgery shop. At some points I noticed textures not appearing properly in the Simulation; however this was rare and not necessarily game breaking. Voice actors do a good job in making the characters feel real and this is further enhanced with the great dynamic they have with each other during conversations. There is a radio station in game that hosts a mix of rock, hip-hop/ rap and classical music, so depending on your preference you can choose what you like, although I believe for some missions, the soundtrack is set until it’s completed. I’ll be the first to admit that Saints Row IV kept me entertained from beginning to end and while I am sad that I had to eventually put down the controller after completing it, it definitely left its crazy mark on my brain. Its gameplay mechanics are where it truly shined and showed that even the most out of these world ideas can be done properly and be fun. (Something I was afraid of with the introduction of super powers) Where the Saints go next? Only Volition knows, however I do know that it will take something absolutely insane to top this.